Wat is dit voor site? Wij zoeken de goedkoopste boeken op internet. CrossTalkvonden we het goedkoopst op Bol.com voor €16.99. We hebben gezocht in nieuwe en tweedehands boeken. Rechtsonderaan de pagina kan je het boek direct bestellen	via Bol	.com. An Antidote to "Take Two Verses and Call Me in the Morning"
Your friend just left his wife. You catch your child posting something inappropriate on the Internet. Someone in your small group is depressed. A relative was just diagnosed with an incurable disease. When those you know and love experience trouble, you don't want to hand out pat answers or religious platitudes. Instead, you want to offer real hope and help from God's Word. You know it's true, but how does an ancient book, written thousands of years ago, connect with our twenty-first century problems? 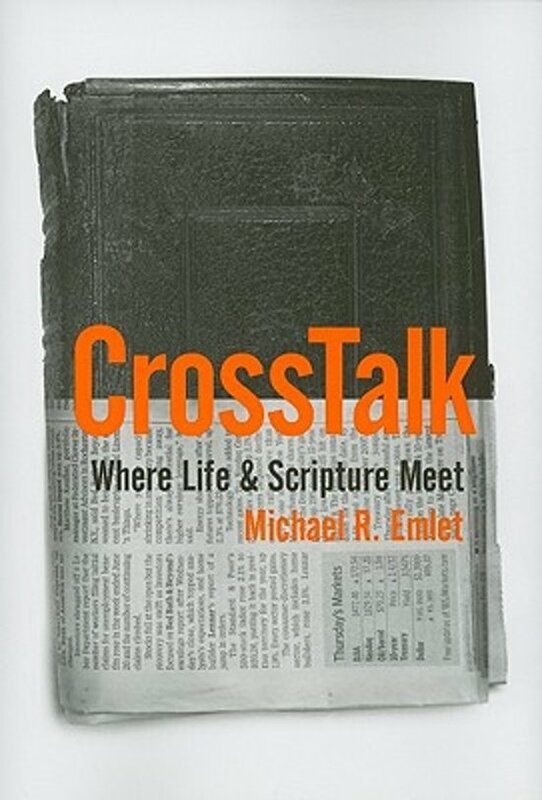 In CrossTalk: Where Life and Scripture Meet, Michael R. Emlet gives you the tools to connect the Bible to your life and to the lives of your family, friends, neighbors, and coworkers. You will learn to understand people and God's Word in ways that promote gospel-centered, rich conversations that help you and those you know grow in love for God and others. This book will make the whole Bible come alive to you. Instead of platitudes, you can offer a cup of living water to those who are struggling in this broken world. "If you hunger to apply the Bible to live, or help other people gain an appetite, then feast on this book "